That beer dinner went pretty well, didn’t it? I had a chance to play host to a discussion and sip-fest at a private party and serve as a friend’s Christmas gift to her husband. There was a barbecue spread and four beers plus a cider. I was able to avoid IPAs, as the husband doesn’t like them. Altogether a nice mix (see below). In the tradition of any professional, it’s time to critique myself. Best to so that right after the event so that the details are fresh and I can sift what went right and wrong. So I’ve promptly waited four days and it’s time to start reflecting. Note 1 to self: The venue was perfect. For seven people, a living room works. I was lucky to have a spot to display the bottles and cans, and a place for my assistant/wife to do the pouring. Note 2 to self: Memorize the patter a bit better. I looked at my notes a few too many times. The material I had down on the history of Pilsner Urquell and gluten-free beers was helpful, but if I have to refer to the notes I probably have too much. I don’t think I need to get rid of notes altogether, but maybe just on notecards instead. 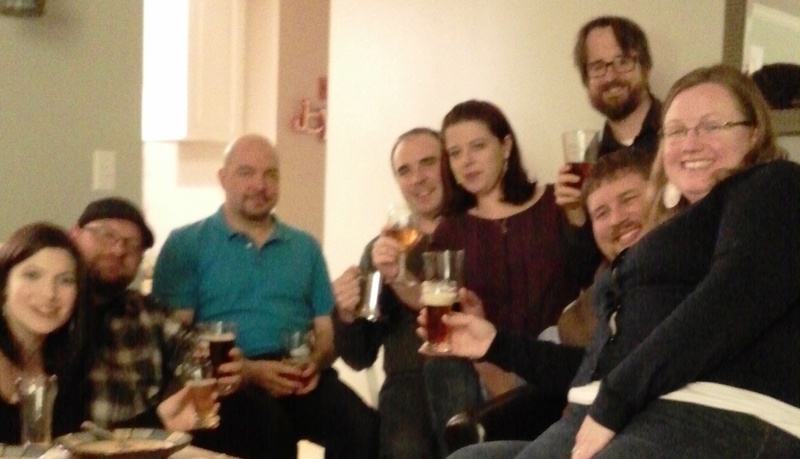 Note 3 to self: I handled the mix of the audience’s beer-knowledge pretty well. 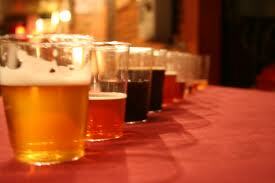 Two of the seven had some serious experience with craft beer, and were brewers. But they were really cool about me going over the basics, and didn’t lord it over me when they knew more about some elements of brewing better than I did. I think I let them talk while informing everyone on other topics without interrupting. Note 4 to self: Let the guests talk. 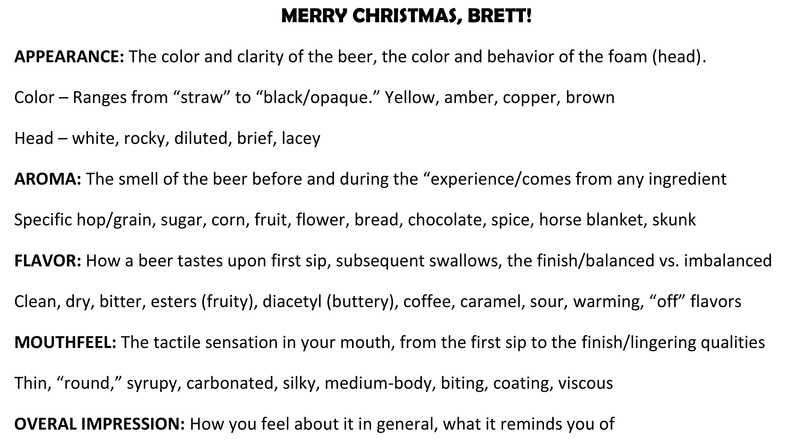 I was all pumped to add in a flavor profile note or show off my knowledge of the kinds of hops the brewers used. The best part of the night was when we were just in free conversation. Note 5 to self: Never mind about people making notes. The handouts work (see below) but don’t keep mentioning that people write on them. They will or won’t so no need to push it. 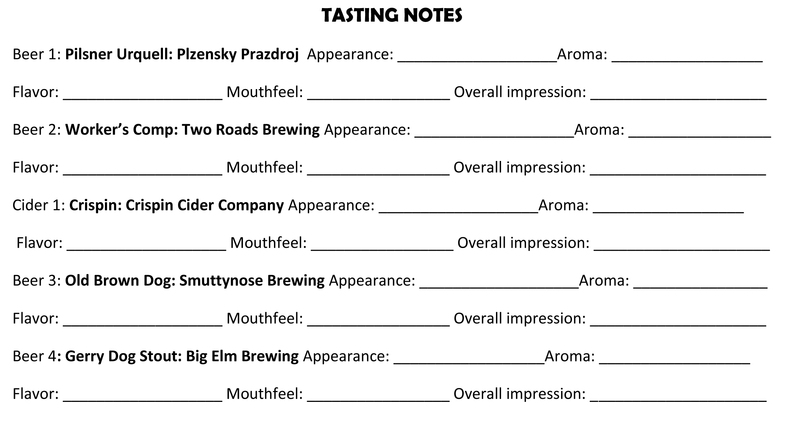 This entry was posted in Beer Snob and tagged beer tasting. Bookmark the permalink.